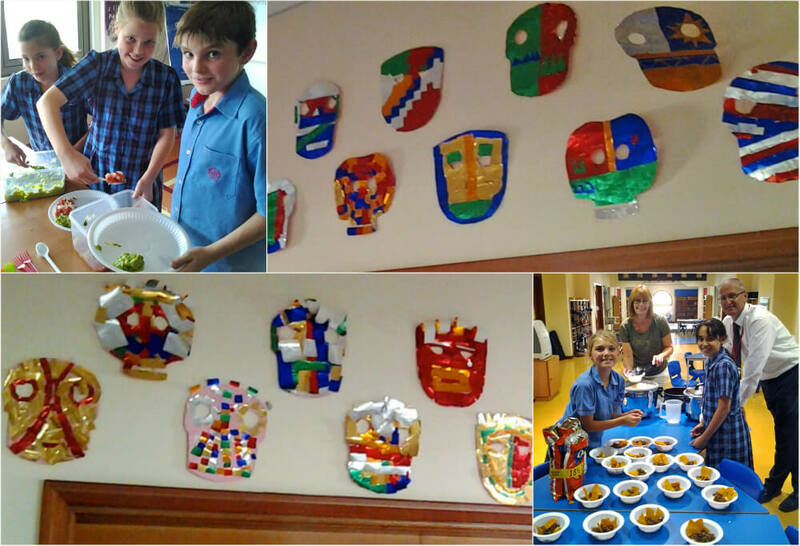 Year 5 celebrated their learning about the Aztecs with culinary style. Mrs Jenkins and Mr McNaught made the children a traditional Mexican chilli complete with rice and nachos which they really enjoyed. Some of the children also brought in their own Aztec dishes- Ophelia supplied 5E with her guacamole, salsa and spicy pineapple. The children spent part of the day designing and making fabulous Aztec masks. James, 5A, said, ”The chilli was explosive but fabulous”. Unfortunately, the recipe remains a closely-guarded secret.